Last week, Mister Jackal of InnerCity Geeks and I got a chance to attend an early screening of Side Effects. No wait, not an early screening, it was the frelling NYC premiere! Any night where the movie gets a live introduction from Steven Soderbergh is pretty awesome. 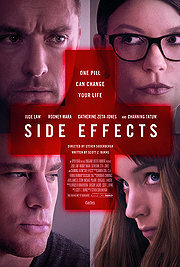 Here are our takes on Side Effects.